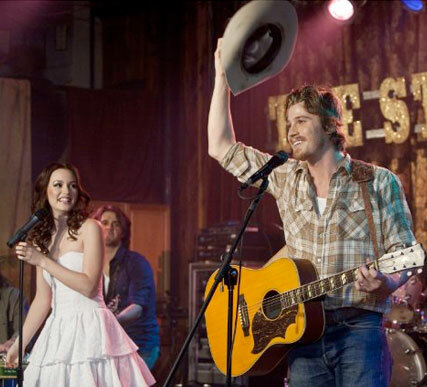 Leighton Meester dating Garret Hedlund? Do we have a hot new couple on our hands? Gorgeous Gossip Girl Leighton Meester and her Country Strong co-star Garret Hedlund were spotted cosying up behind the scenes at Golden Globes bash, according to reports. So could romance be on the cards for the star pair? SEE LEIGHTON’S STYLE HISTORY HERE! ‘They were making googly eyes at each other all night, it was adorable,’ one insider told US entertainment website E! ‘They were hanging out by the bar laughing and talking very close for a long time. And it seems the picture perfect pair – who met on the set of musical flick, Country Strong – weren’t worried about hiding their blossoming romance. ‘At one point they turned around and snuck a kiss,’ the insider added. Do you think Leighton and Garret would make a cute couple? Let us know your thoughts in the comments box below.